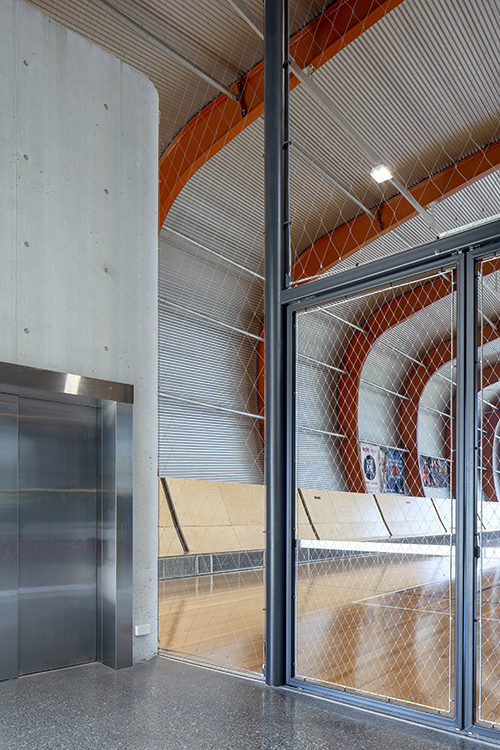 Tensile is pleased to have been involved in yet another major project in NSW – the new Dee Why PCYC facility on Sydney’s northern beaches. 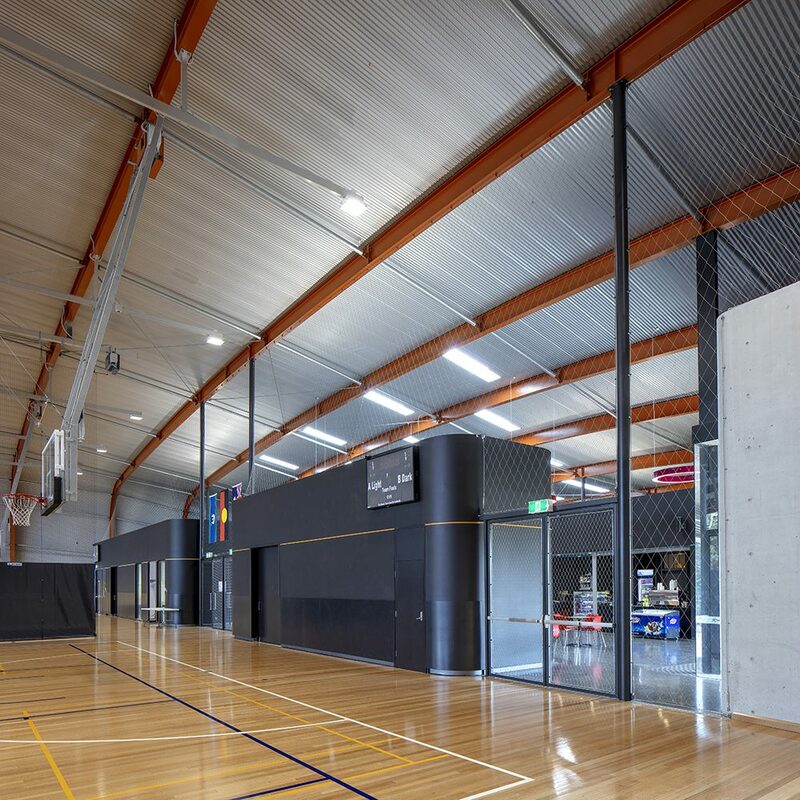 The facility consists of indoor courts, change rooms, youth drop-in and counselling spaces, offices, multi-purpose rooms, a cafe, and a 348-space carpark. 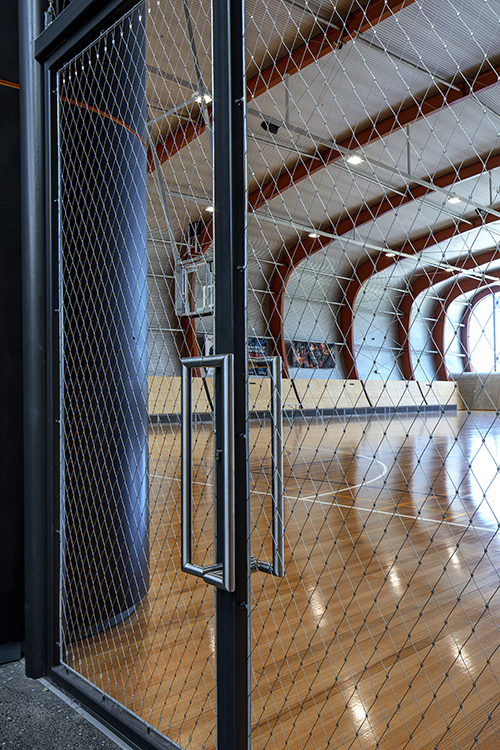 Tensile’s role was to install webnet 160mm-apperture mesh as a ball screen for the basketball courts, as well as some stainless-steel balustrades for the building. The not-for-profit PCYC was established in NSW in 1937 by Scottish-born policeman William McKay, who saw first-hand the benefits for clubs for young people overseas. The organisation now has over 90,000 members and 64 clubs in NSW alone, and more than 90 clubs across the other states. Contributions for the Dee Why club came from Warringa Council, the PCYC, the State Government, and B-Line transport for part of the carpark. 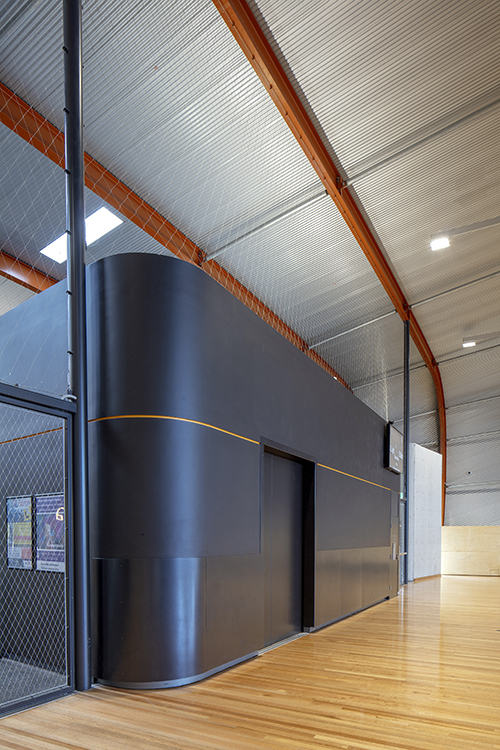 The webnet screen we installed on the courts creates an invisible and impenetrable barrier, while maintaining airflow through the whole space – a huge win for the building. The great thing about webnet is its pliable nature – it can be moulded and draped around irregular shapes. 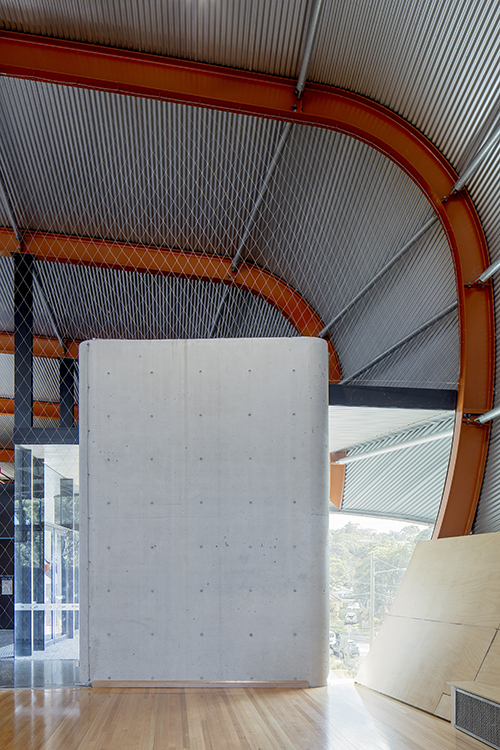 In this project, we again worked with the geometry, and the mesh naturally and effortlessly moves and conforms to the shape. 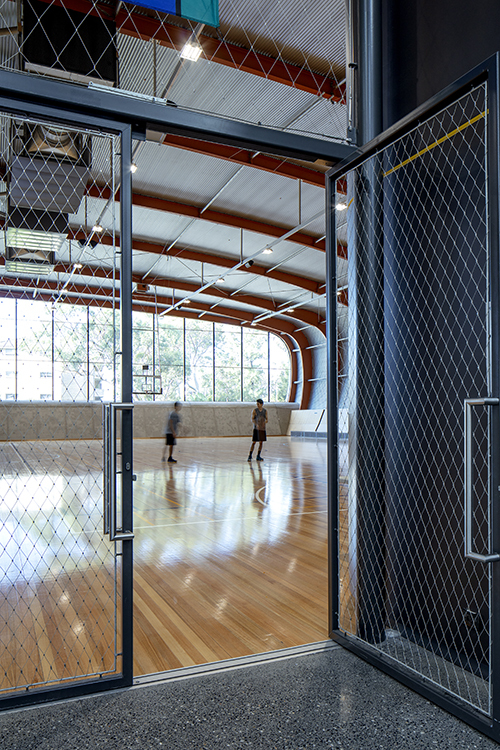 The Treehouse, Blaxland – mesh was used to create a safety barrier for a 12m high children’s climbing structure, without impeding views over the parklands and Parramatta River. Wulaba Park playground, Waterloo – Webnet was draped around the playground structures to provide safety without impeding free play. Acute House, Albert Park Victoria – this project involved renovation of a tiny dilapidated cottage. 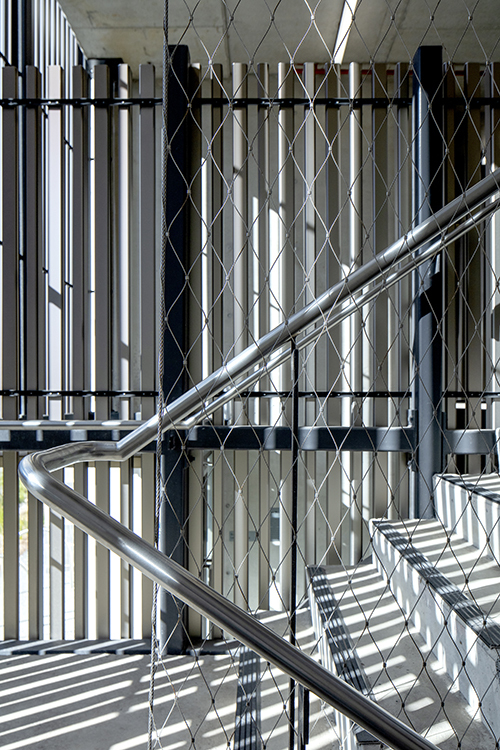 Mesh was used to provide barriers for the staircase, balcony and windows while allowing plenty of light into the building. If you have a project that requires the malleability of webnet mesh material, feel free to get in touch for a discussion.